She wakes up at three every morning to two alarms. 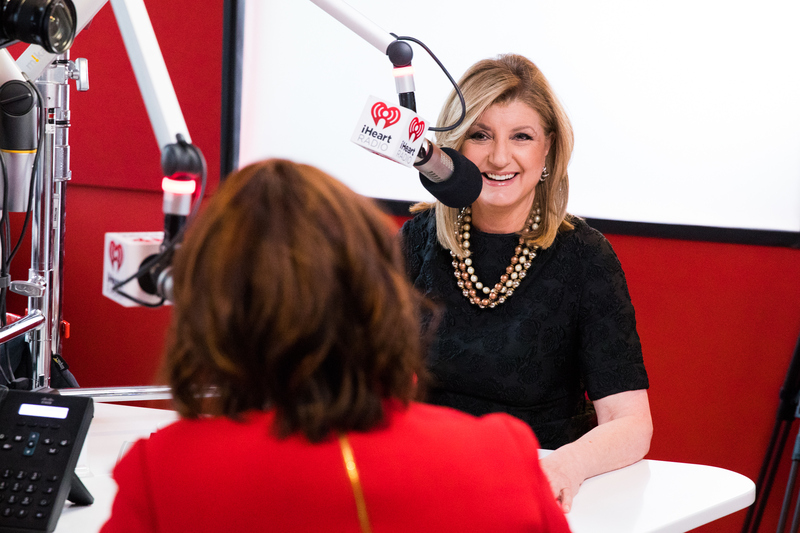 To kick off Season Two of The Thrive Global Podcast with Sleep Number as the exclusive sponsor and iHeartRadio as the official producer and media partner, Thrive Global founder and CEO Arianna Huffington sat down with CBS This Morning co-host, O Magazine editor-at-large and media icon Gayle King. In a wide-ranging conversation, Huffington and King spoke about everything from King’s social media habits and morning routine to self-acceptance and the possibility of an Oprah presidential run. King described her busy work schedule, citing many nights when she doesn’t get home until after midnight and has to get up just a few hours later. So she has two alarms — one at 3:22 a.m. and the other at 3:45 a.m. — so the self-professed news junkie can catch the news at 3:30. “I don’t even think…the hours are so unusual because that’s what time my day starts,” she explained. Huffington reminded King of a recent conversation they’d had about sleep. “You had told me that you had gotten three hours and 46 minutes of sleep the night before, and called yourself a ‘hot mess’ when it comes to sleeping,” Huffington said. King said she can physically feel her body being “so out of whack” without enough sleep. However, she told Huffington about a recent night when she managed to get enough sleep. “And didn’t you feel amazing?” Huffington said.